The annual shark excitement is on the way! Here’s a great big bunch of PreK , kindergarten, first grade, and second grade freebies to help you keep your little learners focused on literacy and math, even in the midst of the shark frenzy! The official celebration on the Discovery Channel starts on July 22nd this year, but since our students are soooo motivated by sharks, why not start using this collection of math and literacy freebies right now? Make it Shark MONTH! * A Roll-and-Write page that’s sure to get your students’ imaginations fired up! Just print and add one die. Roll twice and you’ve got a character and a setting for your underwater adventure story! * Here’s another gift for your literacy center. Play this fun game to practice “not” contractions, like can’t, wouldn’t, and hasn’t. * So, how about some math? This freebie looks like just a set of number cards, but wait! It also includes eight games to use with the cards, ranging in level from PreK through second grade. * Sharks Alive, It’s All About Five! Here’s more math! 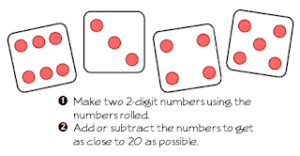 For first and second grade, here’s a set of a dozen number elimination riddle cards. These cards are a fun math format that also promotes critical thinking. 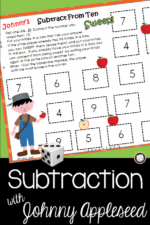 The last freebie in this HUGE collection is a set of two first grade games. I love the challenge of creating games that are truly low prep. each of these games is just one page, and there are NO cards to print! That’s easy prep! Are you ready to get these freebies? Click here to find all of these classroom goodies in one post! *Check this post for more shark freebies at Classroom Freebies!